Niagara Falls, Ontario is one of the most spectacular sights on the face of the Earth, and can be appreciated from many different observation points, including boat cruises from below. 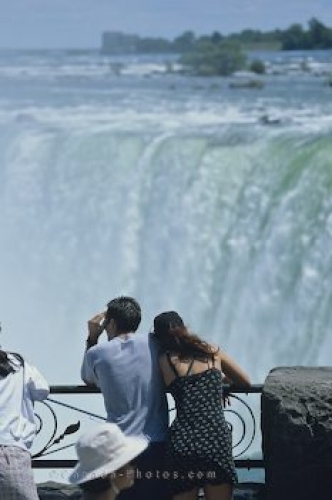 The scenery of the Falls and surrounding area is magnificent and thousands of tourists flock here every year. Niagara Falls, Ontario, Canada. North America. Picture of an observation point and the scenery at Niagara Falls in Ontario, Canada.